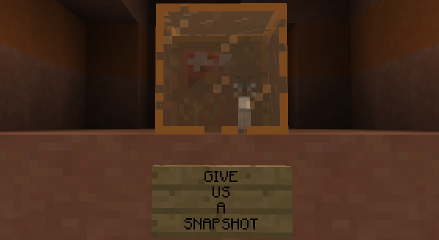 Update: Snapshot 13w41b has been released to fix the following bugs. You can grab the client in your launcher, or the server using the links below. I could write a big changelog with all the new features, all the fixed bugs and all the reworked code… but I could also go spend that time making some more new features, fix some bugs and rework some code. Brb coding!